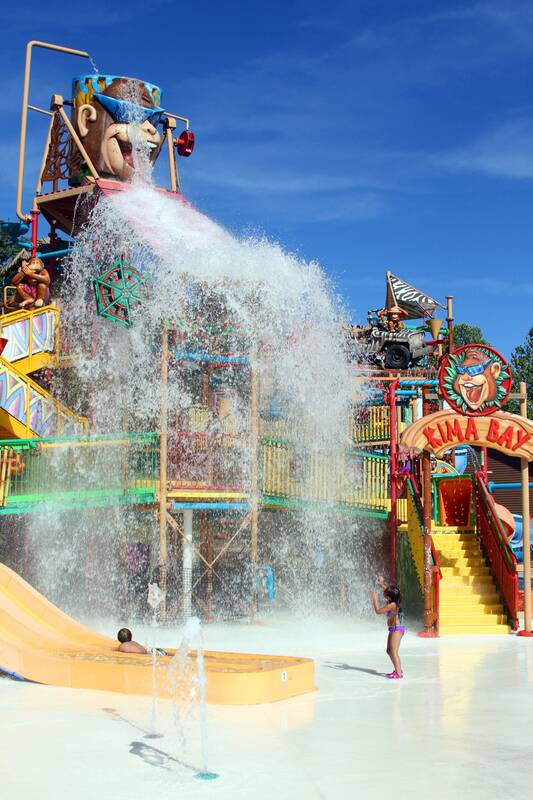 Kima Bay is a huge, monkey-themed waterplay attraction. 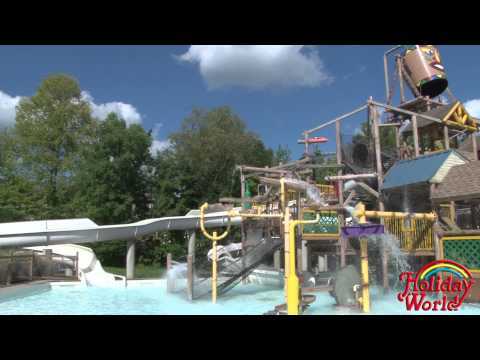 Count to seven with Kima Bay’s fun water slides! 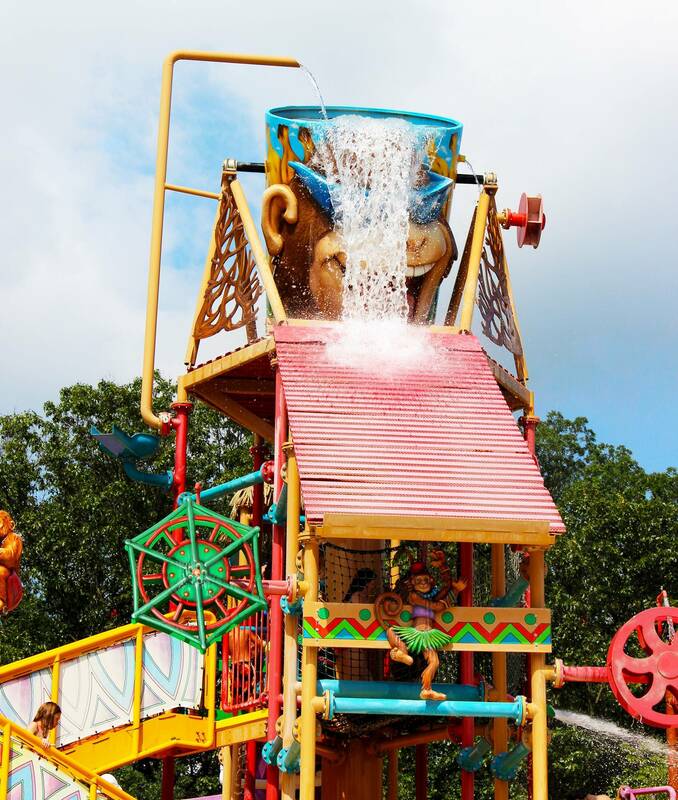 There are more than 100 water-play elements for your little monkeys, including more than 125 water jets. The 1,200-gallon bucket fills constantly with water, tipping every few minutes to create a four-story waterfall. 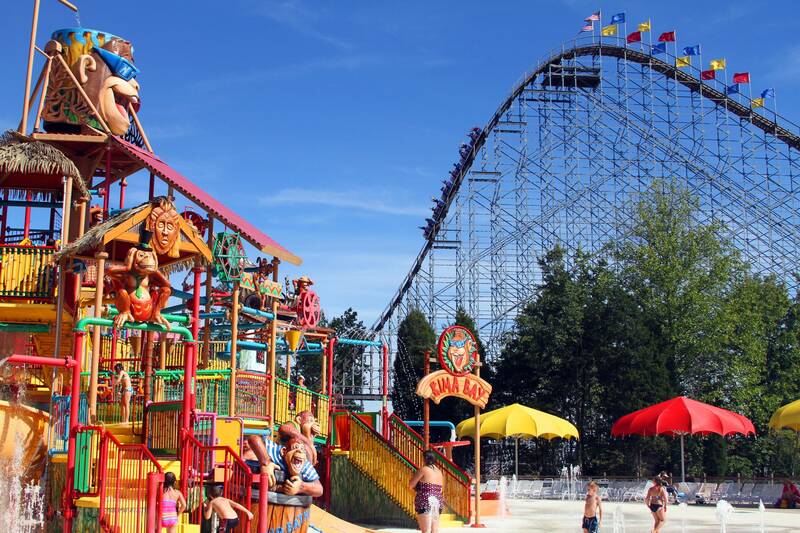 Guests must be at least 36” tall to ride smaller slides (those under eight feet tall) and at least 42” tall to ride the taller slides (those more than eight feet tall). Maximum weight per slide may not exceed 300 pounds. Enjoy Kima Bay and don’t stand in line. 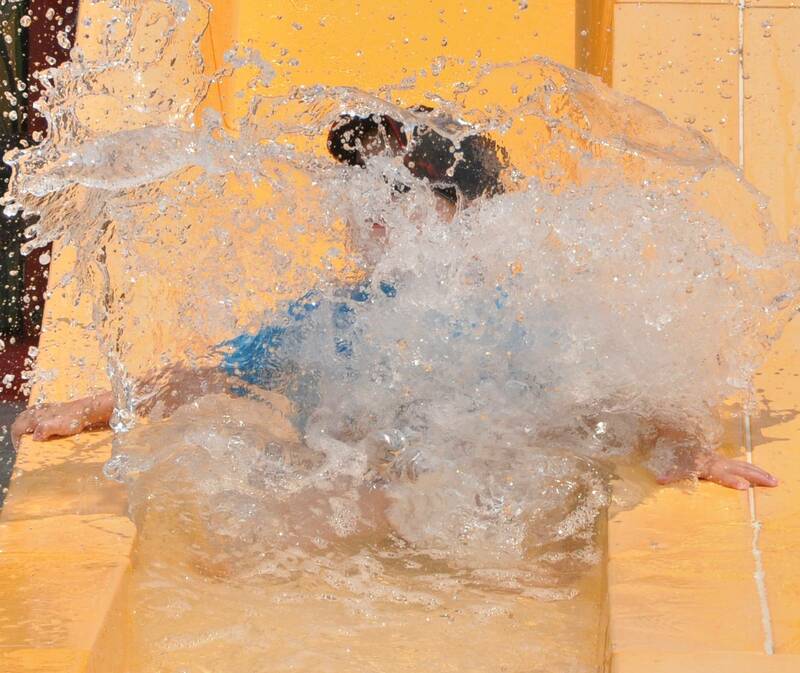 Get wet right away! Watch the waterfall a few times before standing beneath it. That’s a lot of water! Check children’s heights before riding the slides. Try to find all the monkeys playing on Kima Bay. Heads up! 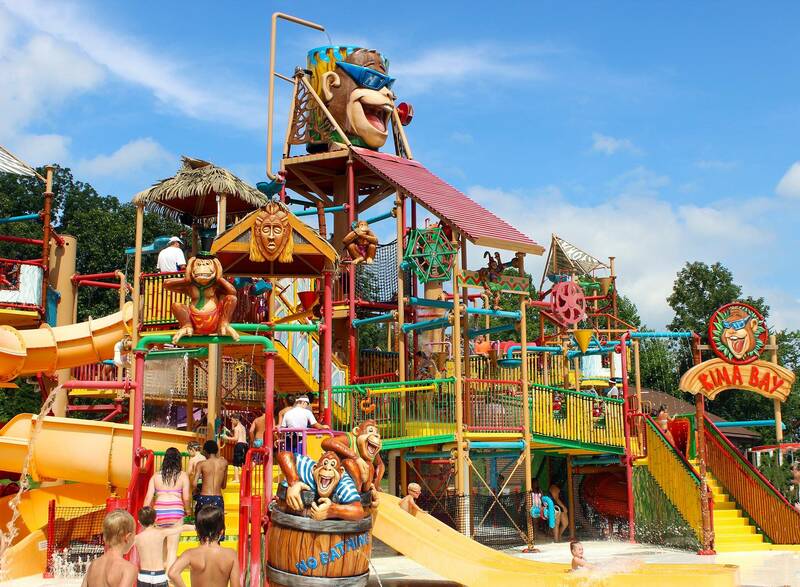 Those goofy monkeys will dump their giant bucket of water on you every 3 minutes! This attraction is not recommended for Guests who have a back or neck condition, recent surgery, injury, or illness, or are pregnant.